Today was insane. Once again photos do not do the conditions justice. 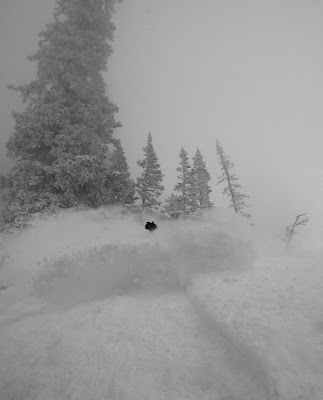 If it was sunny I would have claimed best day I have ever had at the Bird. Andy waves from behind the white curtain. I made a parking spot in front of this car. I figured he was not going anywhere anytime soon. 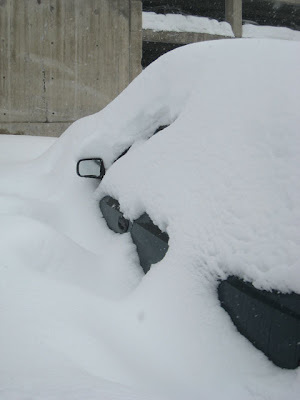 Snowbird has gotten 370 inches of snow so far this year. Our base is 137 inches. This is ripped from the Avi Report. Impressive storm, with very impressive snow totals before frontal passage and after. In the crosshairs of the strong southwesterly flow, the Park City, Provo, Ogden, and the upper reaches of Big Cottonwood Canyon raked in the early snowfall with totals now reaching 25-30” in Ogden and Provo, and 30-40” in upper BCC and the Park City mountains. 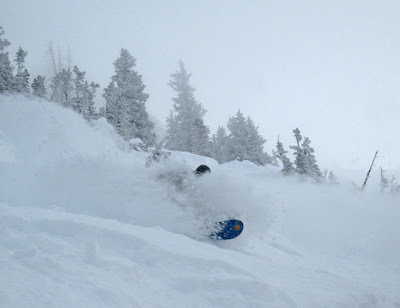 Little Cottonwood sits at 33” for a storm total. 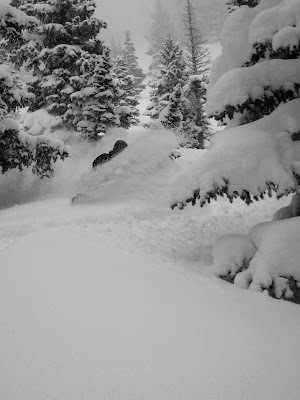 Post frontal, most areas picked 5-10” overnight, with upper Little Cottonwood picking up 14”. Overnight densities are of the explosive 5% smoke-variety. beauty! "densities are of the explosive 5% smoke-variety." Thanks Forrest, Had sooo much fun shredding with you! Next time let me snap some photos of you!